1. Eritrea's Ghirmay Ghebreslassie claimed the first gold medal of the World Atheletics Championships men's marathon organised in Beijing. Ghebreslassie, who became the youngest ever world marathon winner in just his fourth race, completed the 42.195 kilometers race in 2hr 12min 27sec. 2. Historian and writer Babasaheb Purandare was awarded with Maharashtra Bhushan Award 2015. He was bestowed this award in literature category by Maharashtra Governor C. Vidyasagar Rao at a function held at Raj Bhavan, Mumbai. He was credited with writing the first historical work on 16th century Great Maratha king Chattrapati Shivaji. Babasaheb Purandare is popularly known as Shiv Shahir, Shivaji’s poet. 3. The Reserve Bank of India issued a notification, according to which banks can extend loan repayment period up to 5 years in case 50% crop is damaged due to natural calamities like drought and flood. However, if crop damage is 33%, the loan repayment period can be extended up to 2 years, including one year of moratorium. 4. Noted academician and former Vice-Chancellor of the Jammu University Amitabh Mattoo was appointed as Advisor to Jammu and Kashmir (J&K) Chief Minister Mufti Mohammad Sayeed. Mattoo (53) will have the status of a Cabinet Minister. Born in Srinagar, Mattoo has been the Chief Executive Officer and inaugural Director of the Australia India Institute and Professor of International Relations at the University of Melbourne in Australia. 5. India’s High Commissioner to Singapore, Vijay Singh Thakur, has received ‘Asian of the Year 2014’ award by leading Singapore daily The Straits Times, on behalf of Prime Minister Narendra Modi. Modi was given the award in December last year for putting focus on India’s development and getting the world “excited” about the prospects of the country again. 6. India-based micro-irrigation firm Jain Irrigation Systems is the sole company from the country named in Fortune magazine's inaugural 'Change the World' list of companies making significant progress in addressing major social problems as a part of their core business strategy. Jain Irrigation ranks 7th on the list of 50 companies on Fortune's new "Change the World list" that has been topped by UK-based Vodafone and Kenyan telecom Safaricom and includes Bangladesh-based Grameen Bank and Afghan telecom company Roshan. 7. India removed Iran from the list of countries put under the restricted visa category or the prior referral category (PRC) of countries. India sees Iran as a key supporter in the wake of the growing threats and influence of Islamist terror groups such as the Islamic State in Central Asia. India has liberalised its visa policy for Iran and struck it off the prior referral category of countries. Three categories of visas – employment, conference, students and research visa-were on the restricted list till now. 8. Arthur Morris, one of Australia's finest opening batsmen and a key member of Don Bradman's 'Invincibles' side, has died aged 93. Left-hander Morris scored 3,533 runs in 46 Tests at an average of 46.48 and was named in Australia's team of the century in 2000. It was the 1948 tour of England where Morris had his crowning moment, scoring the most runs as the "Invincibles" went unbeaten throughout. 9. 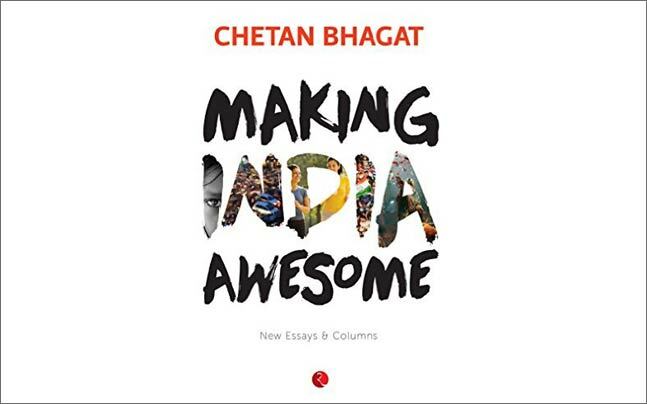 The book titled Making India Awesome authored by Chetan Bhagat was released by Rupa Publications. This is the second non-fiction book written by the country’s biggest-selling writer Chetan Bhagat. His first non-fiction book was What Young India Wants which was well received by the readers. 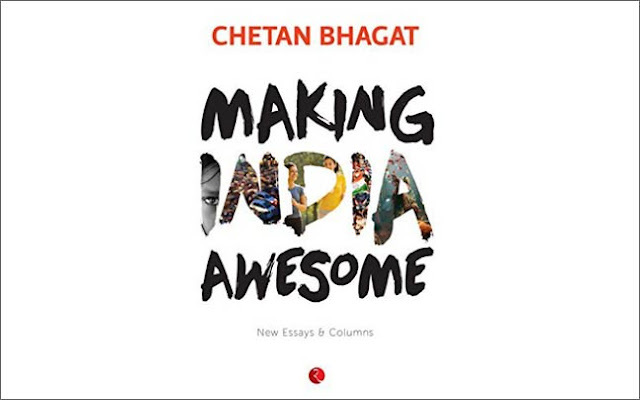 Making India Awesome is a collection of essays. 10. India became the fourth country after Russia, Great Britain and China to have a hotline (direct secure line of communication) with the US President. The hotline has been established with the purpose of direct and secure communication between Indian Prime Minister Narendra Modi and US President Barack Obama. This was disclosed by Peter R. Lavoy, special assistant to US President and senior director for South Asian Affairs at the National Security Council of the White House.